The Universal Audio UAD-2 Satellite Thunderbolt Octo Core offers massive horsepower of UAD Plug-ins to Thinderbolt-ready computers. 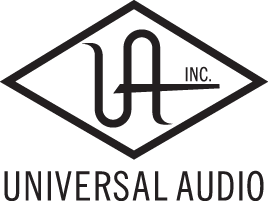 The Universal Audio UAD-2 Satellite Thunderbolt Quad Core uses eight SHARC DSP processors which combined the increased bandwidth of Thunderbolt technology delivers similar performance as PCIe cards. The UAD-2 Satellite Thunderbolt Octo provides full access to UAD Powered plug-ins covering some of the best emulations available and is the ideal solution for large mixing needs. The Analog Classics Plus bundle is included and contains emulations of LA-2A, 1176 Classic Limiting amplifiers, Pultec EQP1A, Pultec Pro, Fairchild 670 and 610-B Tube preamp. The UAD-2 Satellite Thunderbolt Octo includes a dual thunderbolt 2 port allowing the unit to be daisy chained with up to six Thunderbolt devices. In addition it can be cascaded with other UAD-2 Systems such as UAD-2 PCIe cards, UAD-2 Satellites and Apollo Duo, Quad and 16 Audio interfaces for additional DSP. 오디오인터페이스는 혹시모를 고장의 위험때문에 국내 정식 수입처를 통하시는 분이 많다고 알고 있습니다. 다만, DSP 만을 다루는 이런 Satellite와 같은 제품은 통짜 상자에 노브도 없으므로, 해외배송시 고장의 위험이 오디오인터페이스와 비교해서 매우 작습니다. UAD의 경우 미국회사지만, 유럽의 music gear shop에서도 많이들 판매하고 있으며, 미국 현지 배송과 비교해서 가격이 엇비슷합니다. 여기에 가끔 한국세관에서 EU-Kor FTA 품목으로 인정해줄 때가 있는데 이경우 10%에 해당하는 관세가 없어지므로, 미국 배송보다 저렴해질 수도 있습니다. 제품은 매우 안전한 포장으로 잘 배송되어 왔으며, 일주일정도 걸렸습니다. 제품의 상태도 매우 좋아 이상없었으며, DSP문제로 믹싱시 UAD 플러그인을 충분히 활용하지 못하는 문제가 해결되어 매우 기쁘네요.